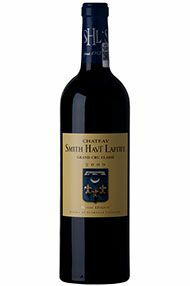 The Wine Advocate - The finest wine ever made by proprietors Daniel and Florence Cathiard, the 2009 Smith-Haut-Lafitte exhibits an opaque blue/purple color in addition to a glorious nose of acacia flowers, licorice, charcoal, blueberries, black raspberries, lead pencil shavings and incense. This massive, extraordinarily rich, unctuously textured wine may be the most concentrated effort produced to date, although the 2000, 2005 and 2010 are nearly as prodigious. A gorgeous expression of Pessac-Leognan with sweet tannin, emerging charm and delicacy, and considerable power, depth, richness and authority, it should age effortlessly for 30-40+ years. Bravo! Moderate and rather cool and intriguing on the nose. Some sweetness at first and then slightly inky. The tannins are far from the most supple but they just about do the trick without being too drying on the finish. Just a little bit gawky, and there’s some alcohol on the finish. 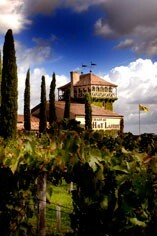 Wine Spectator - Clean. Blackberry and lightly toasted oak with coffee and cedar. Full-bodied and a very, very powerful structure. Blockbuster. Massive and dense, yet remains agile. A triumph for this estate. Parker - The finest wine ever made by proprietors Daniel and Florence Cathiard, the 2009 Smith-Haut-Lafitte exhibits an opaque blue/purple color in addition to a glorious nose of acacia flowers, licorice, charcoal, blueberries, black raspberries, lead pencil shavings and incense. This massive, extraordinarily rich, unctuously textured wine may be the most concentrated effort produced to date, although the 2000, 2005 and 2010 are nearly as prodigious. A gorgeous expression of Pessac-Leognan with sweet tannin, emerging charm and delicacy, and considerable power, depth, richness and authority, it should age effortlessly for 30-40+ years. Bravo! Decanter - Dense red, fine rich and wonderfully succulent and briary wild fruits nose, rich, robust vineyard fruit with internal spice, energy and depth.